The Ohio Valley Search and Rescue (OVSAR) requires all members and their dogs to participate in stringent training exercises. Both train weekly, day and/or night, in all weather condition. The exercises includes mock searches with the dogs, as well as member training in areas such as radio communication, scent theory, clue searches, and compass work. Because a missing person may be found in a variety of situations, it is critical that each team member to be proficient in numerous skills. OVSAR members constantly update their skills at monthly workshops, which focus on areas that specialize in such areas as compass work and map navigation, survival techniques, the incident command system, search strategy, emergency first aid, radio procedures, victim behavior, scent theory, rope work, man-tracking methods, and drug scene awareness. Furthermore, OVSAR encourages its members to attend additional seminars. These seminars are generally a combination of lectures and practical, hands-on applications. 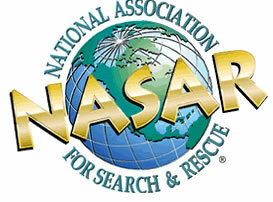 Recent seminars that OVSAR members have attended include NASAR's Advanced Search and Rescue, Search Management through Kentucky DES, Ab Taylor's Man-tracking, Search and Rescue Disaster Response (SRDR) Conferences and Urban Search and Rescue. Additional seminars in Low Angle Rope Rescue Training and Hug-A-Tree Presentations, Crime Scene Preservation with Indiana State Police Sergeant, and the Boater Education Program sponsored by the Kentucky DNR have also been attended by OVSAR team members. In addition to weekly trainings, monthly workshops and additional seminars, the Ohio Valley Search and Rescue annually joins Spencer County Search and Rescue to co-sponsor a Search and Rescue confernce attended by multiple SAR agencies across four states. These outings provide additional cooperative training sessions in compass and map work, mock searches for articles as well as cadaver and water victims, navigation skills, wilderness first aid and low incline rope work. They also aid in preparing team members and the dogs to search in all kinds of inclement weather. Although OVSAR members attend numerous training sessions, this does not automatically qualify them to a mission-ready status. First, the individual must become a member of the Ohio Valley Search and Rescue. Following a six-month application probationary period, during which the prospective member trains with the team, the team then votes on his membership acceptance. Either a class in Basic Search and Rescue (BSAR), which is offered by the Kentucky DES, or the Fundamentals of Search and Rescue, which is offered by the National Association of Search and Rescue (NASAR) is required for all members. In addition, members must also complete classes in standard First Aid and CPR. Only after membership has been attained and these classes have been completed is the team member promoted to a mission-ready status and joins the team on actual searches. Team members are then required to maintain this ready status through a minimum of six sessions of continued training in a six-month period. 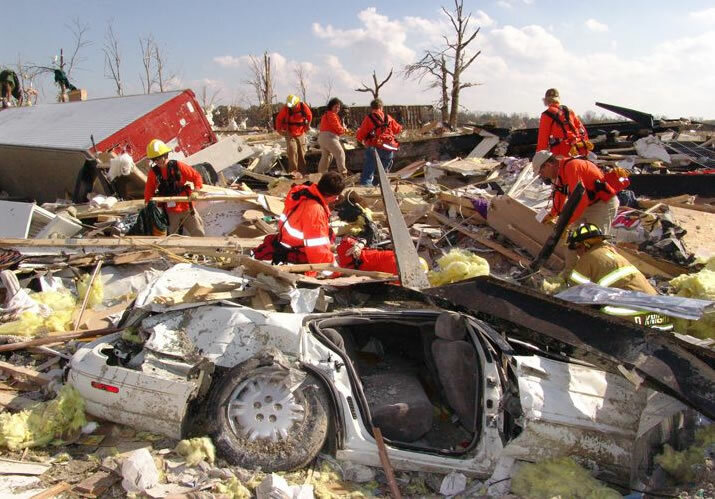 Within two years of becoming a member of OVSAR, each individual must pass the Search and Rescue Technician, Level II (SAR TECH II), a test sponsored by NASAR. This examination incorporates knowledge of search and rescue techniques and procedures with map and compass work, rope skills, tracking and navigation courses and clue searches. Successful passage of the SAR TECH II test confirms a member's active-readiness status. OVSAR members and their dogs volunteer countless hours training in search and rescue to meet the public's needs in any and all emergency situations.